Ridgewood Energy seeks to find and develop oil assets in the Deepwater Gulf of Mexico at a cost of less than $20 per barrel. We target high-potential reservoirs in one of the world’s most prolific oil basins, in partnership with industry-leading energy companies. Exploration & Production companies have been successfully drilling and developing oil fields in the Deepwater Gulf of Mexico for decades, over which time valuable pipeline and production infrastructure has been installed. In many instances, Ridgewood’s projects have the opportunity to use this existing infrastructure, which can reduce the capital and time required to get a discovery on production. Where needed, new production facilities may be installed that are capable of handling high-rates of oil production from multiple new fields. 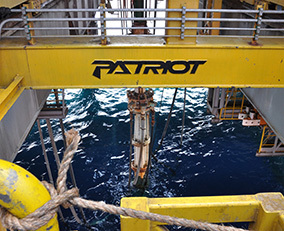 Ridgewood Energy and its project partners are deeply committed to conducting all offshore drilling and production operations with the highest regard for safety. Safety is a core value of the oil and gas industry, which is constantly improving best practices for safe operations.